Shibuya is one of Tokyo’s major entertainment centers. A bustling city that is well-known for entertainment, shopping, dining and other fun-filled activities. Food enthusiasts often scour the streets in search of hidden gems that can satisfy their sophisticated tastes. With so many cafes and restaurants to choose from, anyone would be hard-pressed to make a decision. Fortunately, here are some of the best dinner places in Shibuya where you can enjoy a delicious meal. Zuichou in Shibuya is a place for those who love to eat Katsudon. It is a very popular Japanese dish. It is a rice bowl topped with deep-fried pork cutlets, egg, and vegetables. The crispy exterior and juicy interior accompanied by their specially made sauce make their katsudon very popular. This small family restaurant has been around for quite a while and their katsudon is well loved by both locals and tourists alike. Choose small, medium or large servings (you can add beer if you like as well). Tokyo Tonteki in Shibuya is a great place for those who love to eat a lot! They specialize in pork dishes and you are bound to have a meaty and delicious experience. Their marinated pork loin steak is just right, and the taste is great. There can be a line of people, especially during dinner time because Tonteki is popular in Shibuya. Fukudaya is a bright and cozy restaurant in Shibuya that serve soba, udon and other seasonal dishes on their menu. While it’s not that hard to find soba restaurants in Shibuya, it’s hard to find “good” restaurants that make their noodles the way Fukudaya does. Sawanoi is the local joint in Shibuya for udon and soba. They have an English menu with pictures which will make your life easier if you don’t know how to read Japanese. They have a nice variety of soups for their soba and udon so take your time and choose the flavor that you want. The only thing that you might not like is that they allow smoking in the restaurant. However, aside from that small inconvenience, everything is good. Kyou Youshoku Akatsuki is a restaurant that serves Western dishes in Kyoto style. It’s a nice place to visit if you want to have a change of pace and taste something different. They also have seasonal dishes and almost everyone like their hamburger steak with demi-glazed sauce. It is one of their most recommended dishes so you have to give it a try as well. Gold Rush is a well-known restaurant in Shibuya for their delicious Hamburg Steak. The food is amazing and is worth waiting in line for a few minutes (depends on how long the line is). If you intend to have dinner in this restaurant, be sure to come “extra early”; because it really gets crowded during peak hours. 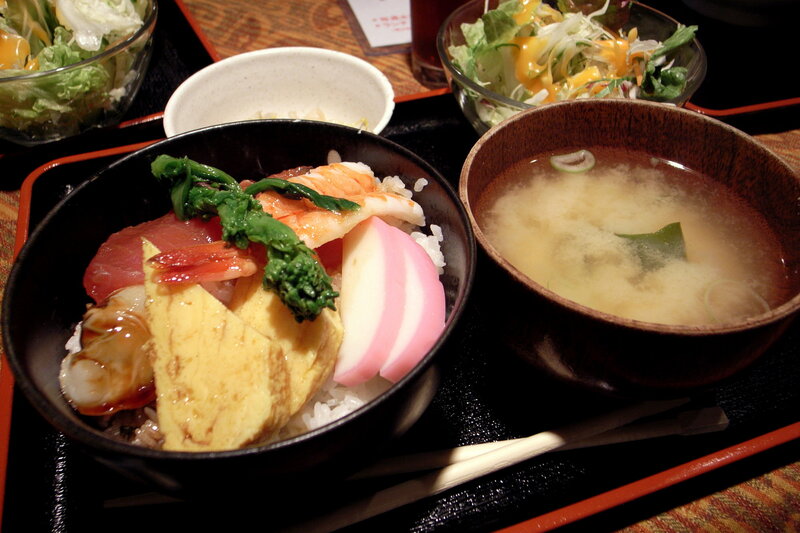 Rikyu Shibuya Hikarie will put your preferences to the test. This restaurant is well-known for their grilled ox-tongue. Although it is only a small restaurant, you can see people lining up to taste what they have to offer. Surprisingly it tastes good, and the price is very affordable as well. Omakasetei is a western style restaurant in Shibuya. Here you get to enjoy western dishes that will bring a change from your everyday routine. Of course, if you want to eat something that you’re familiar with, go ahead and try their curry rice. Overall, the place is nice and the food is great as well. Soup Curry Rockets serve curry and vegetable dishes. Even if you’re picky about vegetable dishes, you have to give this place a try. Their curry is a little spicy but overflowing with flavor. The same goes for their vegetable dishes. Do yourself a favor and heat towards Soup Curry Rockets for a well-deserved meal. d47 Shokudo is an amazing restaurant in Shibuya where you can taste the local dishes from all over Japan. Just 5-minutes walk from Shibuya station, this restaurant is located on the 8th floor of Shibuya Hikarie Shopping Mall so you can expect great views of the city. It’s not everyday you get to choose a local dish from one of the prefectures in Japan while living in Shibuya. If you’re curious, visit d47 Shokudo and judge it for yourself. – 10 Best Food Finds in Shibuya You Should Try!